Wax is a protective product that is used to protect a surface from outside contaminants. It is made up out of several ingredients with wax as the main ingredient. Wax products can contain polymers to enhance their characteristics, when these polymers are synthetic these are called silicones. When silicones are used in a wax product, this becomes a hybrid. Although the term hybrid does not directly refer to silicone ingredients, it refers to sealants which are polymer-based protective products. A wax with silicone ingredients is therefore considered to be a blend of a wax product and a sealant product. The term “hybrid” is not often used in the real world. Since the main focus lies on the wax ingredient, there is no obvious need to express the fact that a wax is a hybrid. Almost every commercial wax contains polymers, but not all of these polymers are synthetic. The wax products that do not contain synthetic polymers (=silicones) are sometimes referred to as natural waxes. In general, a wax product is made up out of wax as its main ingredient, solvents to carry the wax and to dissipate after application and oils to soften up the product and to help in application. The wax used can be very different, a few examples are: carnauba wax, beeswax, montanwax, candelilawax etc. The wax used can depend on certain characteristics. 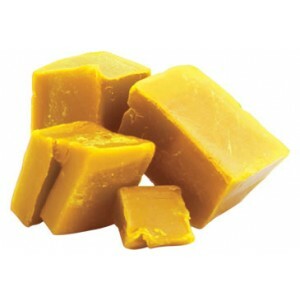 Carnauba wax is very hard, which gives a more glass looking reflection, beeswax is softer and gives colors a warm glow. This is due to the refractive index the wax creates. Several different waxes are often mixed to combine their charateristics and create a wax that is mostly aimed at giving gloss, or enhancing color. Wax is – unlike most other protective products – self-sacrificial. This means that is prevents dirt from coming into contact with the paint by sacrificing itself. For example, sand particles can get trapped in the layer of wax. By trapping the dirt, it won’t be able to get into contact with the paint underneath, but it does mean that the layer of wax becomes “dirty”. Which in turn means that it needs to be replaced after a certain period of time. The wax can also break down over time due to it “giving its life” to protect the paint. Trapping dirt and breaking down causes the surface energy to change, which creates less round drops of water (beading). The beads become more flat, with jagged edges and lower surface-contact angles.